The seven who make up this history-making team are Sarah Hendrickson, Lindsey Van, Jessica Jerome, Abby Hughes, Alissa Johnson, Nina Lussi, and Nita Englund. These ladies have dreams of being the best in the world at ski jumping’s “V-Shape” flight. In the third episode of the REFUEL USA documentary series, check out the Women’s Ski Jumping team in action before they head to Russia for the big games. Abby Hughes, Jessica Jerome, Lindsey Van, Nina Lussi and Alissa Johnson are upping the ante in the final month of training. For years, they haven’t been able to participate alongside their male counterparts on sport’s biggest stage but now they’re ready to prove themselves to the world. The U.S. 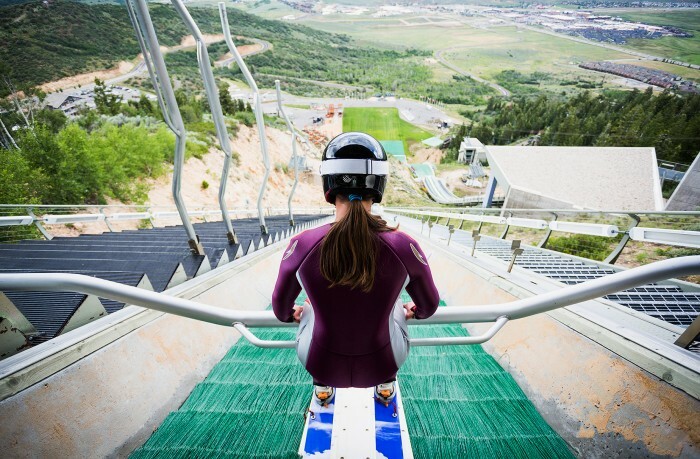 Ski and Snowboard Association announced the nomination of seven ski jumping athletes Wednesday afternoon during a press conference at Utah Olympic Park, the site of the 2014 U.S. Olympic Team Trials for ski jumping. All nominations are subject to approval by the U.S. Olympic Committee. Women’s Ski Jumping USA, a nonprofit, is the primary support organization for the U.S. National Team. The 2014 Olympic Winter Games mark the first time women’s ski jumping will be contested at the Olympic level. World Champions Lindsey Van, who played a pivotal role in getting the sport into the Olympics for women, and Sarah Hendrickson, who was selected after a promising return to snow following a knee injury, will be a part of the first-ever women’s ski jumping team at the Olympic Winter Games along with Olympic Trials winner Jessica Jerome. Women’s Ski Jumping USA, a nonprofit, is the primary support organization for the U.S. National Team. With the help of a small staff and lots of generous volunteers, the organization runs the U.S. women’s ski jumping program and raises the necessary funds to pay for coaching, travel, training, equipment and a junior developmental program. A late August injury by Sarah Hendrickson caused her to have a total knee reconstruction; it blew her ACL completely, tore the MCL off bone and damaged 80 percent of her meniscus. Sponsors are necessary for athletes such as Sarah and the rest of her teammates in order to train, travel and enter events so we are happy to see REFUEL USA do their part by sponsoring these inspiring American athletes. Understanding Sarah was only 17-year old when exploded on the ski jump scene, I sense the Sports Techie spirit is stronger than ever in her as Sochi approaches. 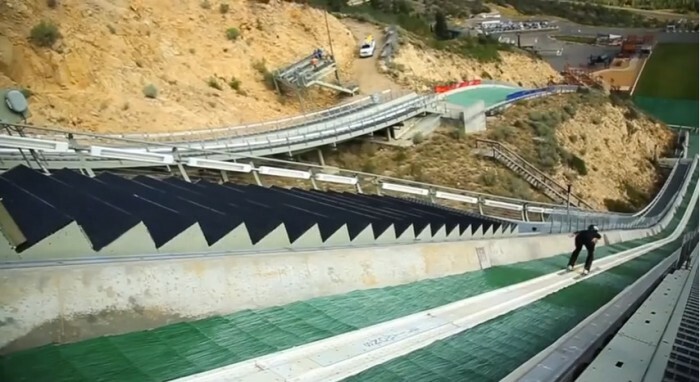 The Science behind ski jumping compliments the implementation of technological advancements helping to surge the sport ahead with better ski jump gear, ramps, training facilitates and performance techniques. The Sochi Winter Olympics Russki Gorkie Ski Jumping Center holds 10,000 fans and was designed by International experts to withstand gusts of winds and be harmonious with the Caucasus mountain landscape. 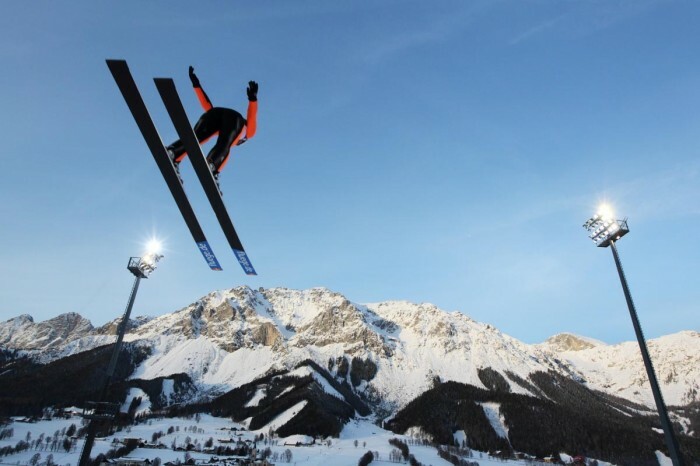 The 95-meter and 125-meter jumps have undergone testing and are ready to perform as are the women Olympic ski jump athletes from all over the world for the very first time in Olympics history. My research came up with the costs for Team USA ski jumping boots, suits, skis, and bindings and it was not nearly as cost prohibitive as I thought it might be. Boots are under $495, JR boots are half the cost. Ski cost ranges from $220 to $490. It makes sense to make sure you have proper insurance if you want to practice ski jumping on your own. In 2011, Team Canada took out $5 million worth of ski sports insurance. With the inclusion of the sport of ski jumping in the 2014 Olympic Games these numbers are sure to rise so check with your local National Governing Body for more details. Men’s Olympic Trials winner Nick Fairall will headline the team along with three teammates who have previously competed at the Games. The formal naming of the 2014 U.S. Olympic Team by the United States Olympic Committee is set for Jan. 27. Got Chocolate Milk Expert – Wendy Bazilian, DrPH, MA, RD, Doctor of Public Health, Nutrition Consultant and Author, was asked: How do you emphasize the importance of recovery to your athletes? Dr, Bazilian answered that , “The essence of recovery isn’t just about now—it’s about later and tomorrow. The 2014 Olympic Winter Games mark the first time women’s ski jumping will be contested at the Olympic level. The Olympic way of excellence, friendship and respect transcends sports and has filtered into ski jumping athletes dealings with the media and politics. The dangers of traveling to Sochi have been well documented after the bombings in Volgograd that killed 3o people and the recent terrorist videos and threats made to Russia, Sochi and its Olympic allies. The Russian counter-terrorism agency in place believe that these games are secure so the games go on as they should. The U.S. government is asking Russia for more data, let’s hope they make it so. I blogged about terrorism after the Boston Marathon bombings and hope to never have to do that again. The compelling stories we will remember from Sochi like the ice hockey gold medal quest, the 12 new events and the very first ski jumping competition for women, will all be good for the soul and heart. Having the courage, commitment and love of sport is why the Women’s Ski Jumping Team USA and role model athletes like Sarah Hendrickson, Jessica Jerome, Park City and Lindsey Van, sponsored by REFUEL USA, all have the Sports Techie spirit. 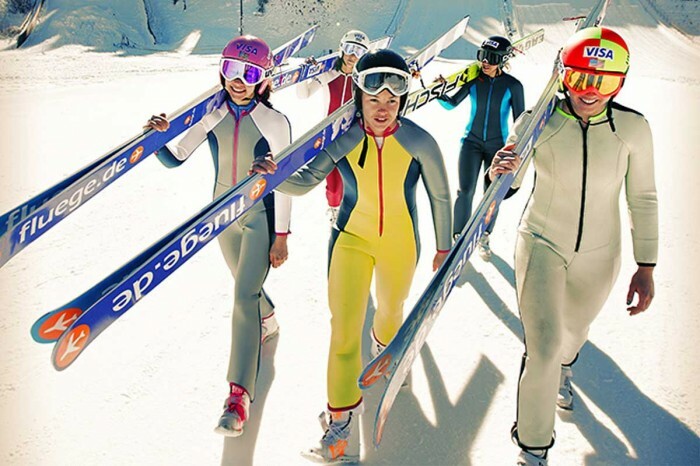 Young Sports Techie girls across the United States and all over the globe now have women ski jump role models to watch on their smartphones and tablets and can emulate them while practicing their skiing skills on mountain sides or on dry land. NBC is broadcasting the Sochi winter games in real-time with no time delay like at the London 2012 summer games so be ready with your computer, TV and mobile devices because watching these digital Winter Olympics with a second screen is how it was meant to be. Ski jumping stats are the name of the game. May the perfect “V Shape” flight and proper chocolate milk recovery regime win someone on Team USA’s women’s ski jumping team an Olympic gold, silver or bronze individual medal.